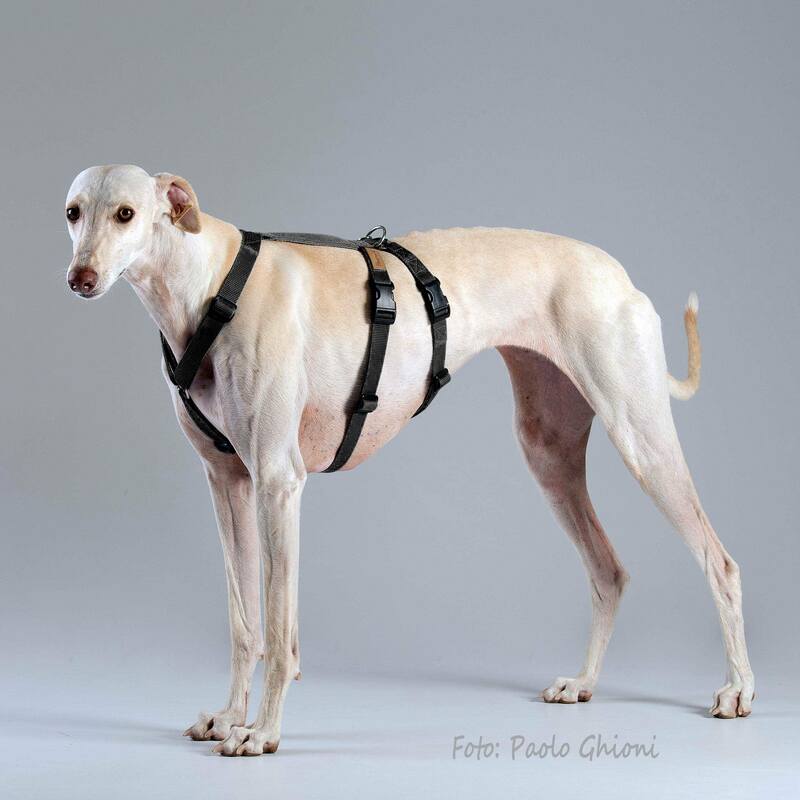 The Haqihana Double H Harness features an extra strap, which makes it perfect for those awkward shaped dogs such as sight hounds and escape artist dogs who can back out of other styles of harnesses! 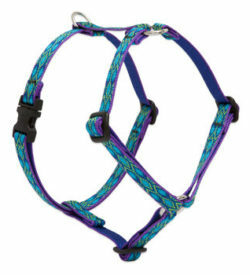 The Haqihana Double H Harnesses are a completely different design than the standard Haqihana harness. 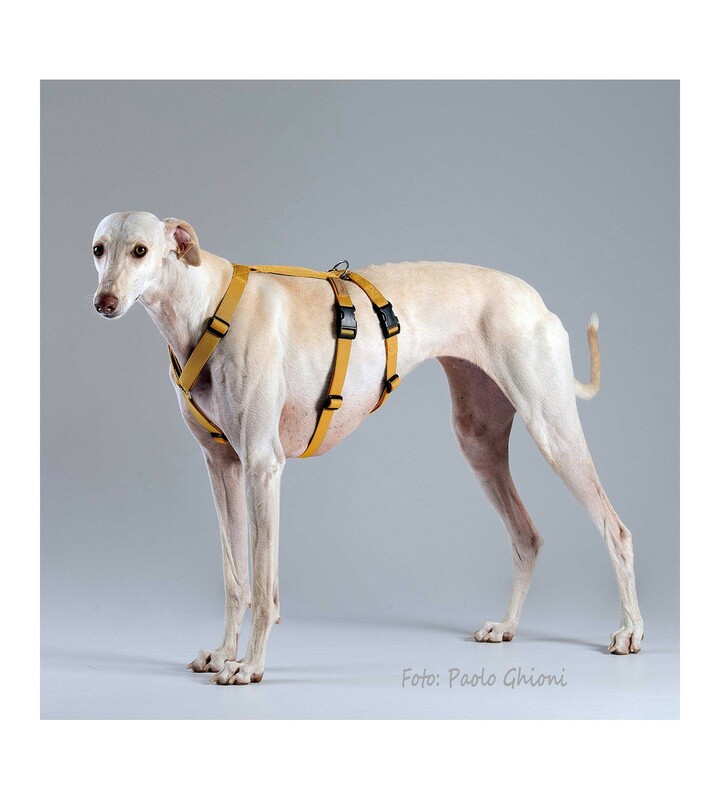 They are brilliant for anxious dogs who tend to pull out of/back out of the normal harness when scared. 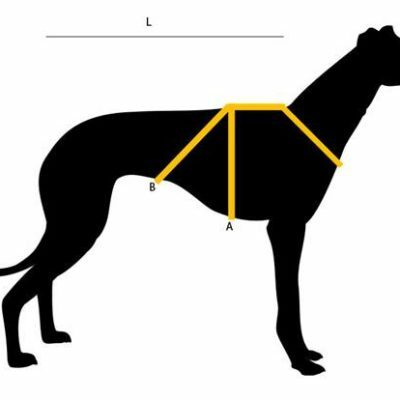 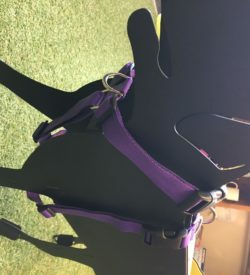 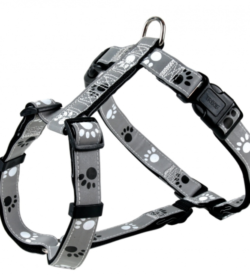 They are also great for very deep chested dogs or dogs whose neck is large compared with their heads like Sight Hounds, as the additional strap gives extra security. 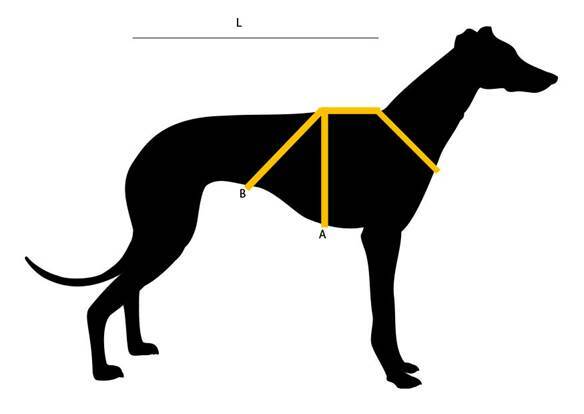 See the sizing diagram to get an idea of the size you will need for your dog.